Yellowstone National Park offers a unique selections of Hotels and Lodges. Yellowstone's historic nature has provided man made majesty in the architecture of it's rustic but elegant lodging facilities. 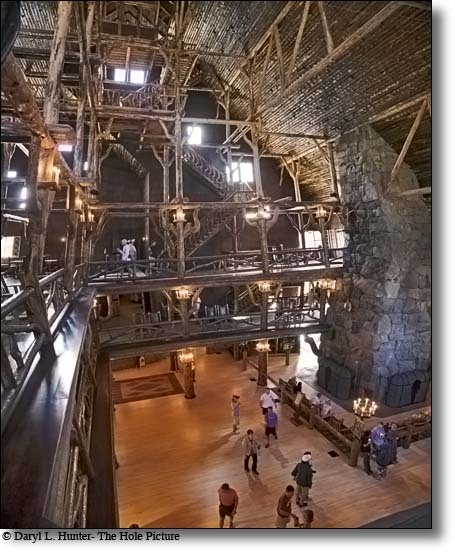 Old Faithful Inn • As a national historic landmark, Old Faithful Inn is the most requested lodging facility in the park. The rustic-style lodge, with log and wood shingle exterior is located adjacent to the world famous Old Faithful Geyser. The original part of the Inn, known as the "Old House" was completed in 1904 and includes an immense lobby with a huge stone fireplace. The East and West Wings were added in the teens and the twenties, with many rooms having been remodeled in recent years. Guest accommodations include rooms with and without baths. Additionally, a full service restaurant, deli, gift store and interpretive tours are available at the Inn. Canyon Lodge & Cabins • Located near the renowned Grand Canyon of the Yellowstone and its Lower Falls, the Canyon Lodge is the most central of the park's 9 locations. It's ideal for hiking and other outdoor activities. Cabins built in the 1950's and 60's are arranged on loops, while two new lodges house over 80 hotel style rooms. All rooms and cabins have private baths. The main lodge building is also a product of the "mission 66 days" and includes a reception desk, gift store, picnic/deli shop, full service restaurant and cafeteria. Horseback rides are also available from the nearby corrals. Grant Village • Grant Village, named after president Ulysses S. Grant who signed the law which established Yellowstone as the world's first national park, was completed in 1984. The lodging complex includes 6 two-story buildings each containing 50 rooms. All rooms have private bathrooms. Also located in the area are two restaurants with lake views (one full menu and one specializing in pizza and pasta), a lounge and a small gift store. The village is situated on the southwestern shore of Yellowstone Lake, approximately 20 miles from Old Faithful, and is the nearest location to Grand Teton National Park. Lake Lodge Cabins • From the large porch of the main log lodge, time is captured in the shimmering reflections of lakeside mountains. Lake Lodge is an inviting location where cozy cabins and cafeteria style dining provide a family-friendly atmosphere. The main lodge houses a delightful lobby where two fireplaces, a lounge and gift store warmly beckon guests to linger and chat. Cabins with private baths are grouped nearby. Many of the guests on my tours find the Lobby of Old Faitful Inn one of the highlights of the trip and are quite surprised they had no knowledge of the place. Mammoth Hot Springs Hotel • In the early days, Yellowstone's visitors began their park exploration at Mammoth Hot Springs, named after the steaming limestone terraces just above the hotel area. Today, Mammoth Hot Springs Hotel offers a warm welcome to summer and winter visitors. Elk routinely graze outside the hotel around the parade grounds of what was once Fort Yellowstone. Old Faithful Lodge Cabins • This historic cabin facility is located near Old Faithful Inn and includes a one-story main lodge built in the 1920's featuring massive logs and stone pillars. The lobby and food court (with cafeteria, bakery and espresso cart) offers tremendous views of the Old Faithful Geyser. The large gift store is also located in the lodge. Basic cabins are equipped with and without bath and grouped nearby. Cabins most often include two double beds. Old Faithful Snow Lodge & Cabins • Completed in 1999, the Snow Lodge is the newest of the park's full service hotels, and has been recognized with the Cody Award for Western Design and Travel and Leisure's Inn of the Month. The heavy timber construction, exterior log columns and cedar shingle roof were part of the design that is destined to make the Snow Lodge a significant example of classic "parkitecture." Accommodations include lodge rooms, western cabins and Frontier Cabins. The interior features include furnishings, fixtures and appointments that carry creative wildlife and park themes. A full service dining room, quick service "Geyser Grill" and charming Bear Den Gift Store round out the impressive amenities. Roosevelt Lodge Cabins • Named for Yellowstone enthusiast Theodore Roosevelt who regularly visited the park, this rustic log lodge and cabin facility was built in in an area of the park that was a favorite of Theodore Roosevelt. The rustic cabins and family style dining are a favorite of families and fisherman alike. From the front porch guests can rock their stress to sleep and awaken their "Old West spirit." A large corral operation offers horseback trail rides, stagecoach adventures and our popular Old West Dinner Cookout, where the steaks are tender, the wranglers are friendly, and the scenery is breathtaking. Silver Gate Cabins • For the last ten years, Silver Gate Cabins has been offering our clients affordable prices on Yellowstone Lodging and Yellowstone cabins. Open year round, all cabins have down comforters, kitchenettes and bathrooms with showers. We are only one mile from the northeast entrace of Yellowstone, and offer some of the most convenient Yellowstone lodging you'll find in the area, nestled between Yellowstone's Lamar Valley, Montana's Beartooth Mountains and the Wyoming Sunlight Basin. We are surrounded by the most majestic peaks in Montana, elevation 7,400 ft with peaks around us soaring to over 11,000 ft.
Holiday Inn SunSpree Resort • Welcome to the Holiday Inn West Yellowstone Hotel, your first choice for your Yellowstone vacation, conference or weekend getaway! 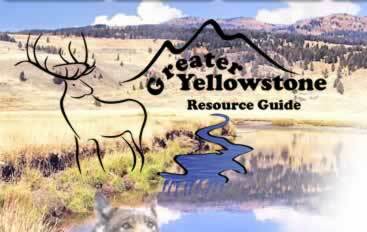 We are located just three blocks from the most popular entrance to Yellowstone National Park. Yellowstone Country is the prefect destination for business and fun. Fresh air, breath-taking scenery and year-round outdoor recreation ~ there's something for everyone! Blue Sky Cabins • Our plush Red Lodge accommodations are located in the heart of Big Sky Country – near Red Lodge, Montana and nestled at the foot of the spectacular Absaroka/Beartooth Mountain Range & Wilderness. For romance, adventure and breathtaking views…there’s only ”Blue Sky”! The 50 highest points in the state are in the Beartooth Range near Red Lodge, “Blue Sky” and Yellowstone National Park! The spectacular Beartooth Highway is only minutes away from “Blue Sky”! Super 8 Motel • The Super 8 in Gardiner is the perfect base camp for touring Yellowstone National Park and the surrounding areas. 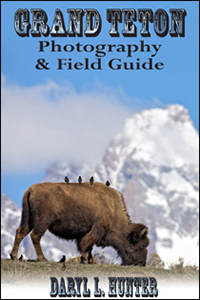 A wildlife watchers, photographers paradise. Bison, elk, bear, bighorn sheep, antelope and now with the return of the wolf. YNP is truly the American Serengeti. The Yellowstone River, Americas longest undamed river, flows through the tiny town of Gardiner making it one of the most premier fly fishing rivers in the country. The Yellowstone Super 8 has an indoor heated pool, free Wireless High Speed Internet, expanded lobby and a nice redwood deck for sitting outside and viewing the mountain scenery. Nearby you will find fishing, restaurants, skiing and a bar/lounge. Come to Montana. Come to Yellowstone to make memories and renew your spirits!! Comfort Inn Big Sky • Big Sky's best lodging value. Enjoy Big Sky's outdoor adventures each day and find yourself at home each evening in one of our beautiful guest rooms. Amenities include an indoor heated pool, hot tub, 90-foot waterslide, FREE wireless Internet access, guest laundry, exercise room, meeting rooms, a free continental breakfast, great staff and an inviting atmosphere. All rooms have coffee makers, hair dryers, full-size ironing boards, irons, FREE wireless Internet access, 25-inch color television with remotes and free local calls. The rooms are available in family suites, hot tub suites, standard suites and standard. Pet Charge: 50.00 non refundable Deposit. 10.00/night smoking, 15.00/night non smoking. Fox Hollow Bed and Breakfast • The Fox Hollow Bed and Breakfast was established in 1995, our custom country style home is set in the heart of the scenic Gallatin River Valley, situated at the very end of Mary Road and bordered on three sides by agricultural fields. We offer a welcoming atmosphere surrounded by the peace and quiet of a country setting. Relaxing on the front porch, you have an unobstructed view of the majestic Bridger Mountain Range which rises to nearly 10,000 feet. Add to that, experience the other four mountain ranges which surround Bozeman and the Gallatin Valley... This is what you have come to Montana to see!! The Irma Hotel • The Irma Hotel is a living museum of the Old West. Buffalo Bill Cody the city’s founder and namesake built and named the hotel for his daughter Irma. You step back into the old West at the Irma Hotel where you'll capture the romance of an era when Cowboys came in from the surrounding ranches and tied their horses to the rail of the hotel. 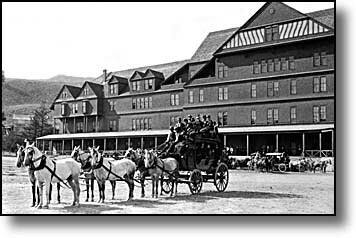 The original part of the hotel was built for Buffalo Bill in 1902. The northwest addition was constructed in 1929, and the southwest addition was added in 1976-1977. "Buffalo Bill," William F. Cody was probably the best-known American in the world during his lifetime. Having been involved in many events that shaped the American West, he formed an arena show of the western experience called Buffalo Bill’s Wild West in 1883. It toured the United States and Europe for 30 years. Buffalo Bill's Wild West Show try-outs were held on the lots west of the hotel, when buffalo ran amok in downtown Cody, and when European nobility headquartered at the Irma Hotel on hunting treks in the area. Shilo Inn Idaho Falls • This full-service conference hotel features 161 mini suites overlooking the picturesque Snake River. Perfectly suited for business or leisure activities, Idaho Falls Shilo Hotel is just blocks from downtown. Yet it retains an inviting sylvan appeal. From the expansive, dramatic lobby to the attractive, comfortable guestrooms, Shilo's value shines through. 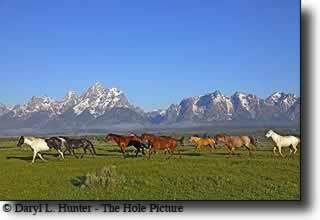 Within two hours' drive are Yellowstone and Grand Teton National Parks. Craters of the Moon National Monument is nearby, as are ski areas, mountain and wilderness areas, city parks and zoo. The Lodge at Big Sky • The Lodge at Big Sky is conveniently located in the heart of Big Sky Resort. The ski lifts, restaurants, and shops are only a short walk away. The Lodge at Big Sky is the ideal home base for all of the mountain recreational activities that Big Sky has to offer. Big Sky's scenic lift operates all year long taking our guest to the summit of Andesite Mountain for great views and trails. Popular activities include Nordic skiing, snow shoeing, fly fishing, horseback riding, sleigh riding, snowmobiling, sight seeing, and more. Lexington Hotel • Lexington at Jackson Hole, your home away from home in beautiful Jackson, Wyoming. With close proximity to Grand Teton National Park, the National Elk Refuge, and Yellowstone National Park, our guests can enjoy the many outdoor activities and rustic beauty that Wyoming has to offer. Located just 1.5 blocks from the historic Jackson Town Square, our guests are within easy walking distance of many shops, restaurants, galleries, museums, and nightclubs. Each of our spacious guest rooms at the Lexington at Jackson Hole offers a comfortable, quiet environment with all of the comforts of home including premium beds, complimentary wireless high-speed Internet access, microwave, mini-fridge, coffeemaker, cable TV with HBO and ESPN, desk with lamp, hairdryer, iron, and ironing board. Some rooms offer fireplaces and sitting areas while others provide courtyard access to easily load and unload luggage. The Cabin at Pine Creek • (South of Livingston MT) Built in the 1940s, The Cabin at Pine Creek has been remodeled to retain its historic charm, while adding comfort and modern amenities. Under the pines along Pine Creek, minutes from the Yellowstone River and historic Livingston, The Cabin sleeps 4. The cabin is close to Pine Creek Cafe with its great restaurant, beer and wine bar, and live music indoors all year and outdoors at summer barbeques. Chico Hot Springs Resort is minutes away where you can enjoy activities like a soak in the natural mineral springs, spa treatments, horseback riding, dog sledding, and live music, as well as fine dining.